This ground-floor villa is the perfect size! 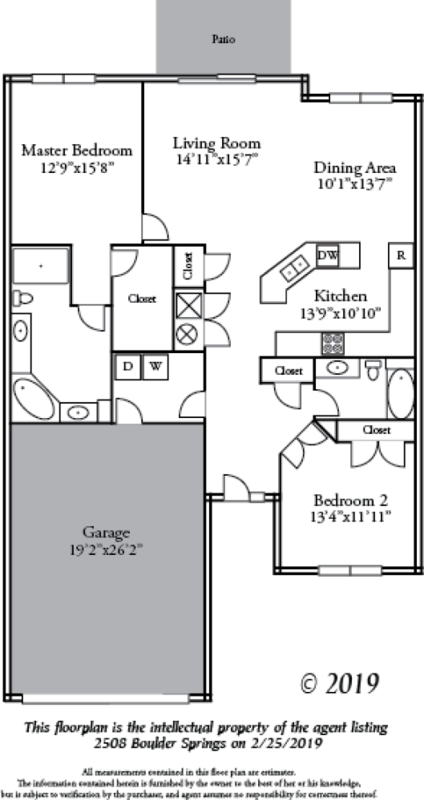 Split bedroom floorplan with two bedrooms and two baths. Open floorplan and many upgrades including a new tankless hot water heater. High ceilings, granite counters, crown molding, jetted tub, fabulous master retreat with spa-like bath and so much more! Furniture can be included in purchase via separate bill of sale. Includes lawn-care and heavy snow removal. You also have full access to the gym and pool at the club house. Please send me more information about 2508 Boulder Springs Ct.